Sleep apnea is a disorder in which one or more pauses in breathing, or shallow breaths, occur while you sleep. Pauses in breathing can last from a few seconds to minutes and they may occur more than 30 times in an hour. Sleep apnea effects millions of people and is a chronic lifelong disorder. Each pause in breathing is called an "apnea" which means "no breath". When breathing is irregular, carbon dioxide builds up in the bloodstream which triggers the brain to wake up. Left untreated, people with sleep apnea stop breathing repeatedly during their sleep, sometimes hundreds of times. The brain and body may not get enough rest or oxygen in these cases. Apnea - An apnea is when your breathing stops for at least ten seconds while sleeping. Hypopnea - A hypopnea is a significant reduction in airflow while sleeping, but not a complete stop, that causes a drop in blood oxygen saturation and then an arousal. Not all types of sleep apnea are the same, some can be treated by mouthpieces. Many snoring mouthpieces have been cleared by the FDA for the treatment of mild to moderate sleep apnea. When someone with sleep apnea goes to sleep, gravity and muscle relaxation allows the tongue and surrounding soft tissue to fall back into the throat area. This collapses the airway and obstructs air flow. The airway collapses after the onset of sleep and this causes the breathing to stop. Sleep is disrupted when an apnea event occurs. 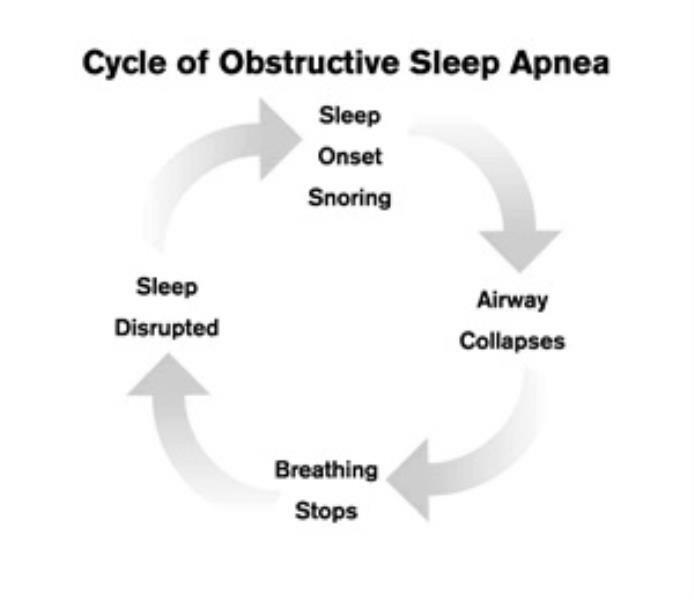 The person with sleep apnea will then go back to sleep and repeat the cycle. There are many contributing factors which can increase sleep apnea occurring but the basic process is the same, the airway is obstructed during sleep. A person with sleep apnea may not be aware they have it. Being overweight, drinking alcohol before sleep and sleeping on one's back are some of the biggest causes for sleep apnea. Sleep apnea usually is a ongoing condition that disrupts your sleep. When your breathing pauses or becomes shallow, you’ll often move out of deep sleep and into light sleep. The quality of your sleep is poor with sleep apnea, which makes you tired during the day. Sleep apnea is a leading cause of excessive daytime sleepiness. How Is Sleep Apnoa Diagnosed? If you believe you may be suffering from sleep apnea, you should visit your doctor. For sleep apnea to be formally diagnosed, you must undergo a sleep study. This is usually done overnight at a sleep clinic. Doctors will assess you overnight to see whether you have pauses in your breathing during sleep, and how frequent these pauses are. Only a doctor can truly determine if someone has sleep apnea. A blood test cannot determine if someone has sleep apnea. To determine what type of sleep apnea someone has, it is often recommended to do a sleep study (also called "polysomnogram"). During a sleep study a device is worn while sleeping that records brain activity. It can determine how many times someone wakes up during sleep due to not breathing. The sleep study can indicate vital sign information such as brain waves, heart beat and breathing. These results do not replace the advice of a medical professional, they only help in assessing your sleep apnea. When sleeping, people usually have less oxygen in their blood than when they are awake. For someone experiencing sleep apnea, the oxygen percentage in the blood is much lower than someone without sleep apnea. 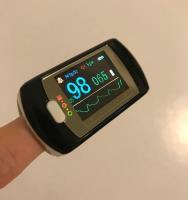 By using a pulse oximeter, it is possible to measure the percentage of oxygen in the blood by using the finger. According to ucsfhealth.org, if your oxygen level is normally 94 percent while awake, it is unlikely that your saturation during sleep will fall below 88 percent. Below 88 percent is considered the onset of sleep apnea at sea level. It is possible to have sleep apnea without snoring, this is known as "silent apnea". Treating snoring will not fix sleep apnea. The only way to know if a person has sleep apnea is to do a sleep study. Sleep Study Scoring on a patient with severe snoring and fragmented sleep from sleep disordered breathing and sleep apnea. This is an all night polysomnograph. This patient has a high AHI (amount of apena wake ups in the night). Sleep stages and respiratory scoring are reviewed in video. Video by: freecpapadvice.com. Oral devices such as mouthpieces (mandibular advancement devices and tongue stabilizing devices) are an effective treatment for people with mild to moderate sleep apnea. They help maintain an open and unobstructed airway by repositioning or stabilizing the lower jaw, tongue, soft palate or uvula. Some mouthpieces are designed more for snoring and others more for sleep apnea. Compare snoring mouthpieces to determine the best mouthpiece for sleep apnea. An example of a sleep apnea mouthpiece is the SomnoDent. CPAP is the standard treatment for severe cases of OSA. It can also be an option for people with mild to moderate sleep apnea as well. CPAP is a steady stream of air provided through a mask that's worn during sleep. Uvulopalatopharyngoplasty (UPPP) is surgery for treating snoring and obstructive sleep apnea. It removes excess soft palate tissue and opens the airway. In addition, the remaining tissue stiffens as it heals, which minimizing tissue vibration. The size of the air passage may be further enlarged when a tonsillectomy is added to the procedure. Thermal ablation procedures reduce tissue bulk in the nasal turbinates, tongue base, and/ or soft palate. These procedures are used for both snoring and OSA. Different methods of thermal ablation include bipolar cautery, laser, and radiofrequency. These procedures may be done in the operating room or during an office visit. Several treatments may be required. Methods to increase the stiffness of the soft palate without removing tissue such as injecting an irritating substance that causes stiffness in the injected area near the uvula. Another method is inserting stiffening rods (Pillar implants) into the soft palate. Weight loss benefits many with sleep apnea. Chaging sleep position from the back to side can help for those with mild sleep apnea. Nasal dilators, nasal strips or decongestants may open the airway in the nose. These may hide the problem of sleep apnea for some. "The outcomes of treatment for OSA depend on two factors: one is how effective the treatment is and the second is how compliant is the patient with treatment." "The study found that our oral appliance was associated with similar health outcomes across a whole range of health outcomes—driving simulator, blood pressure, arterial stiffness, and quality of life." "The investigators found no difference in the mortality of the groups that used CPAP versus the ones that used oral appliances in terms of cardiovascular mortality—and both groups did much better than untreated patients." 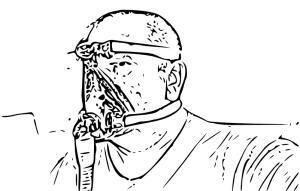 One important difference between CPAP and mouthpieces is their likelihood of being used. In a 2013 study, CPAP was more effective at reducing AHI (Apnea–Hypopnea Index, the quantity of sleep apnea wake ups at night), but more people are likely to wear a mouthpiece at night. Sleep apnea oral appliances (sleep apnea mouthpieces or "sleep apnea mouth guards") work by moving the jaw forward, reducing the air resistance that leads to sleep apnea and snoring. Mouthpieces are often used as a substitute for CPAP or surgery. 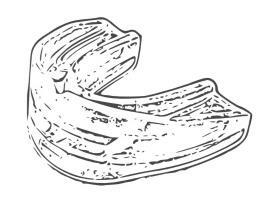 Sleep apnea mouthpieces are usually custom fit by a sleep doctor or dentist. During this process an impression (mold) of the bite is taken and made into plaster. This enables the mouthpiece to have the best possible fit. An example of such a mouthpiece is the SomnoDent. What makes a sleep apnea mouthpiece different from a snoring mouthpiece is generally the quality of the impression. The better the fit and the most adjustment it offers, the more it is considered specific to sleep apnea and not just snoring. Many snoring mouthpieces are approved by the FDA for mild to moderate sleep apnea. This means you can buy one online yourself and see if it works for you. This can be useful information for a doctor. If you are unable to see results using a mouthpiece, you can consider machines which help with breathing at night. CPAP - Continuous Positive Airway Pressure is a form of positive airway pressure ventilator, which applies mild air pressure on a continuous basis to keep the airways continuously open in people who are able to breathe spontaneously on their own. BiPAP - BiPAP stands for Bilevel Positive Airway Pressure, and is very similar in function and design to a CPAP machine. Unlike a CPAP machine which delivers a constant standard pressure, a BiPAP machine has two pressure settings. BiPAP is also sometimes called VPAP for Variable Positive Airway Pressure. APAP - Automatic Positive Airway Pressure; APAP machines use algorithms that sense subtle changes in your breathing and adjusts itself to the best pressure setting at any time of the night. If you believe you have only mild to moderate sleep apnea, you could try a snoring mouthpiece to see if this solves your problems. This is a good step to start with and can be useful for a doctor. If you believe you have severe sleep apnea, schedule an appointment with a sleep doctor. A sleep study will most likely occur to see how the brain is working at night. You may be advised to wear a snoring mouthpiece or you may be advised to buy a sleep apnea mouthpiece. You will probably be instructed to wear a sleep apnea or snoring mouthpiece every night for a days or weeks. In this process, you may need to incrementally adjust the device until the lower jaw is advanced as far forward as possible. After wearing the device, you will probably need an additional sleep study. This sleep study will likely evaluate you with and without using the mouthpiece. A conclusion will be made if the mouthpiece was effective at stopping sleep apnea events at night. If the mouthpiece is effective, it will be recommended to continue wearing it. If the mouthpiece is not effective, additional measures such as using a CPAP device may be recommended. Sleep apnea often goes undiagnosed. Doctors usually can't detect the condition during routine office visits, it is usually recommended to do a sleep study because no blood test can help diagnose the condition. Most people who have sleep apnea are unaware because it only occurs during sleep. A family member or bed partner might be the first to notice signs of sleep apnea such as gasping for air. The most common type of sleep apnea is obstructive sleep apnea (OSA). 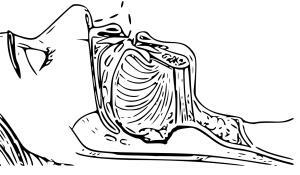 In this condition, the airway collapses or becomes blocked during sleep which causes shallow breathing or breathing pauses. Obstructive sleep apnea is more common in people who are overweight, but it can affect anyone. For example, small children who have enlarged tonsil tissues in their throats may have obstructive sleep apnea. Consider treatment of sleep apnea using a mouthpiece, compare mouthpieces here. Doctors will often try to see if a mouthpiece is effective during a sleep study. Knowing how you react to using a mouthpiece is useful information before considering CPAP, in many cases.